I misplaced my first Healing Hugs Stamp Set, so I ordered another set. So, I just had to make a card using it!!! Love the Merry Merlot Flower!!! I used the Incredible Like You Stamp Set to make my other card. I'm so pleased with how they both turned out!!! Don't forget that Sale-A-Bration is still going strong!! And the Occasion Catalog has some awesome stamps sets and other goodies in it!!! And, for every $50 you spend from either the Occasion or Annual Catalogs, you get to pick a goodie from the Sale-A-Bration Brochure!!! Get awesome stuff and freebies, too!!! Can't beat that unless you become a Demonstrator!!! Right now, during Sale-A-Bration, when you sign up to join my team (The Praying Stampers), for just a $99 investment, you get to choose $175 worth of product to go into your Starter Kit instead of the usual $125. Or, if you want to go with a $129 investment, you get to add the fabulous Stampin' Up! Craft and Carry Bag to your Starter Kit also!!! Now both of these are awesome deals!! And the beauty of being a Stampin' Up! Demonstrator is you don't have to sell anything. 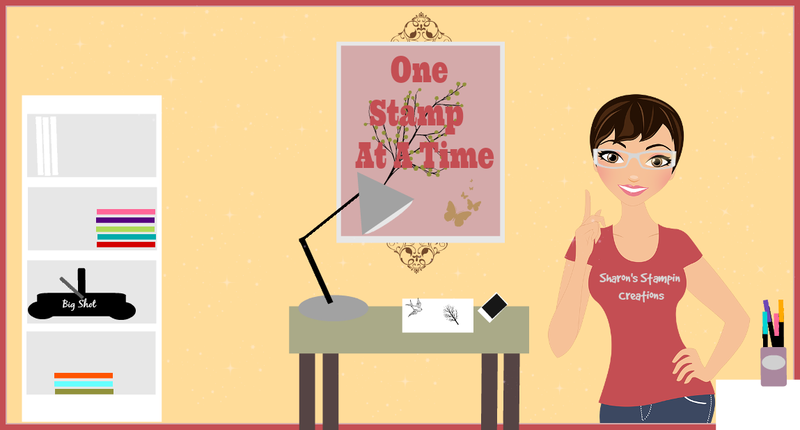 You can do it just to get your Stampin' Up! goodies at a discount!!! There is no pressure to make you sell anything!! There is a list of the products that I used below along with pictures. I hope ya'll enjoyed my video and my cards. Oh no, hate to hear that you couldn't find your stamp set. I lost several things and realized they probably fell in the trash can. So now my trash can is on the other side of the room. Your cards are so pretty. I can see why you went ahead and got another set. Glad I stopped by. Happy Day to You!